Once upon a time there was a fairy, called Lilli. She lived a happy life in the middle of the Magic Forest. 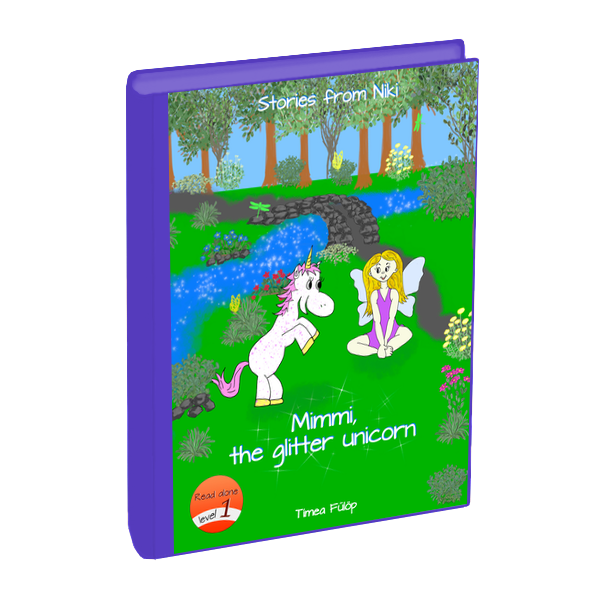 Lilli’s best friend was a unicorn called Mimmi, who was a glitter unicorn. Lilli and Mimmi spent each day with playing together in the Magic Forest . Follow the adventure of Lilli on her way of finding Mimmi. Once the friends finally meet again, they have to face another challenge – Mimmi’s glitter is gone! Are you curious to find out what happened and whether they have found the glitter again? The book is structured for first readers. Come and learn to read with Mimmi and Lilli as you follow their adventures. You can also find some quiz questions in the end of the book to test your knowledge and memory. Have a lot fun with reading! In this book you can find a new story from the Niki & Jazmin series about the Little Hedgehog with the striped hand gloves. This is a special story, as it was written by Jazmin – with a little help from Mommy. We hope that you will like Jazmin’s new story! This book is suitable for early readers. The book also includes a quiz in the end and an alphabet soup challange. We hope that you will like Niki’s story. In this book you can find a new story about friendship from the series: Niki and Jazmin. 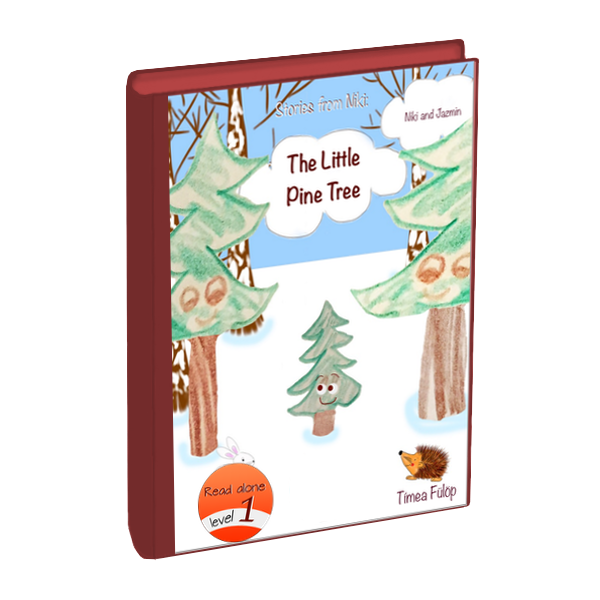 But this story is special, as it was written by Jazmin - with a little help from Mommy… We hope you like Jazmin's first book. Read a preview from the book. Niki and Jazmin were eagerly waiting for the carnival. Every day they came up with new ideas about what kind of costumes they will have. ..., a ballerina, a clown, a racoon, a princess, perhaps a cat... but out of the the dozen costumes which one they will wear at the carnival? If you would like to know Niki and Jazmin's new story, download this book :) Hope you will enjoy! Every child is excited about what they will find under the Christmas tree. Until the arrival of Christmas Eve there are many interesting things we can do together. Come and spend the Advent season with Niki and Jazmin and see how they are preparing for Christmas and see what they will find under their Christmas tree. 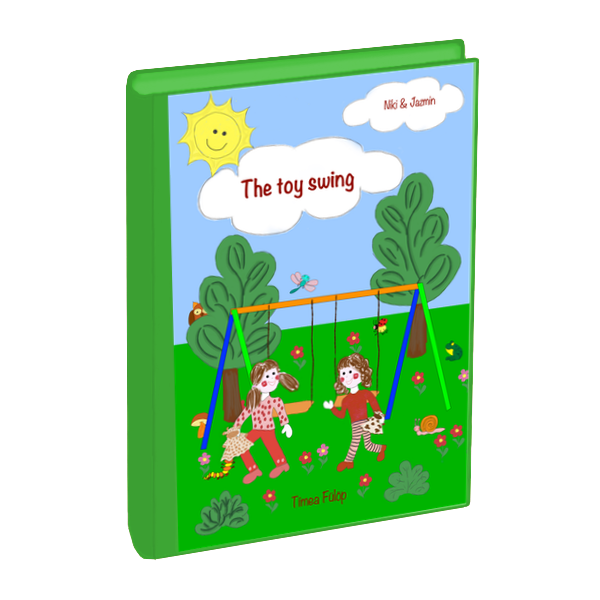 Niki and Jazmin's book: The toy swing has two stories. The first story is: In the library. From this story you can learn how to behave in the library, how to borrow a book and of course have fun. You can read how much Niki and Jazmin loves books. The second story is about making The toy swing. The toy swing is a cute story about two sisters, Niki and Jazmin, who love to swing while holding their favorite toys, but have a big problem! They have trouble holding onto the swing and their toy at the same time, so they keep dropping their toys! Mommy helps them to solve this huge problem. Of course, being sisters, they cannot agree on much, but eventually they come to an agreement and have a lot of fun! This book has 2 new stories about Niki and Jazmin. The first story is The Little Pink Tub. You can read a short story from Niki and Jazmin’s early childhood how they had they regular evening baths, until one autumn evening Niki made something different and made the whole family laugh. The second story: The Little Patient is about the Jazmin's ear infection. You can learn how she visited the doctor with Mommy and then the pharmacy. You can see how much Niki worried about Jazmin being sick. But in the end everything turn our to be good and the girls could happily play together after few days. This book has again 2 stories about Niki and Jazmin. The first story: On the playground - is about a lovely autumn day spent on the playground. You can read about how much fun the family had together on the nearby playground. The second story is Lili. This story is about our nice memories of a summer's day, which Niki and Jazmin spent with Lili. Monika is one of Mommy's childhood friend, with whom they meet unfortunately only during summer times, but in spite of the rare meetings they keep in touch. Monika's daughter, Lili is the same age as Niki and Jazmin, and it's always a great pleasure for the girls to play with Lili. This is a story about a beautiful summer day when the girls and the moms finally met again personally. Niki and Jazmin’s new book has two stories. The title of the first story is: Snowy Adventure. In this story you can read about a pleasant winter day, you can find out how Niki and Jazmin fooled Daddy, how the family went sledging, how Niki and Jazmin climbed up the steep hill and a lot more. The second story is: Good night! From this story you can learn how Niki and Jazmin are preparing for the bed time. How many good night kisses and how many hugs does it take to get the girls to fall asleep? “Mommy, one more goodnight kiss, please … can you give me one more hug … Mommy, I’m thirsty … Mommy, I can not find Little Cow... Mommy, I can not find Small Giraffe … Mommy, I have to pee … please cover me once more!” Are these familiar to you too?